Radiosolution recognizes the enormous contribution Non-Profit radio can bring to a community. We encourage you to spread your cause with our Non-Profit Radio Servers. 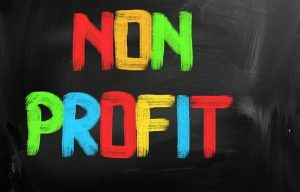 If you are a registered charity or a legitimate non-profit organization, you could qualify for our Radiosolution Non-Profit Radio servers. This means you can work hard at what matters without being concerned about the high monthly cost of a radio or video streaming server. All of the products offered by Radiosolution.info will be highly discounted to make the financial burden a lot easier for your organization. So go ahead and select from our wide variety of products, such as a SHOUTcast, Icecast, Wowza, Web Hosting, Email Service, Online Cloud Storage or Web Site Development. To see if you qualify or to build a custom package please contact our sales team by filling out the form below and we will contact you shortly. Keep up the good work!